Includes Quay Australia Q/A carry pouch. Width: 145mm x Height: 58mm x Nose Gap: 14mm. Colour: Black/Pink. Stainless Steel Hinges. Ray-Ban Sunglasses Alex 4201 865/13 Rubber Havana Brown Gradient taken from the young collection this is a reworked aviator style with a futuristic shape, gummy textured finish and a really curvy shape that wraps a bit, dips a bit and sweeps a bit for sensational style and on trend looks. Michael Kors sunglasses, with case. Model number MKS406. In good used condition. A gold version of the sleek MK logo is displayed upon the hinge and the lenses are brown with a graduated finish. The style also features brown ear socks and lens which is graduated brown. Ray-Ban Erika Sunglasses Tortoise Brown RB4171. Ray-Ban Erika Sunglasses Tortoise Brown RB4171.. Condition is Used. Dispatched with Royal Mail Signed For® 2nd Class. 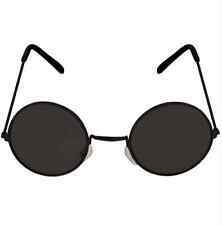 All Black steampunk style sunglasses. Chloe Oversized Myrte Sunglasses. Condition is Used. Good condition, small scratch on lens. With case, some stains/worn on case. Dispatched with Royal Mail 1st Class. Model GU 7240. Style Butterfly. Lens Colour Brown. Accessories No Accessories. 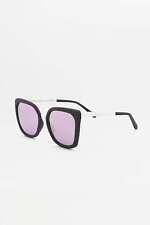 Kate Spade Designer Sunglasses Ladies. Condition is great, hardly worn. 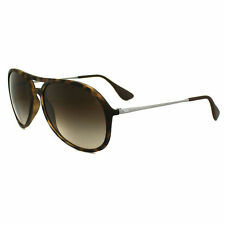 TOM FORD IRINA Polarized Sunglasses Model: FT 0390 03D. Model: FT 0390 03D. Lens: Polarized Grey Gradient. The History behind Tom Ford: Tom Ford, arguably the most powerful man in fashion, originated from Gucci. Bloc 'Billy' Sunglasses F191N. Model: Billy F191N. The distortion free, impact resistant XTR Karbon8 optical class one lenses provide maximum protection against UVA, UVB and other harmful blue light up to 400nm. Miss Sixty Singlasses Oversized with smoky dark grey lens. Used and without case. Dispatched with Royal Mail 1st Class. Ralph by Ralph Lauren Sunglasses 4004 101/13 Gold Cream Brown Gradient is just a classic aviator style which will never go out of fashion and has a luxury finish with the Ralph logo along the temples and on the one lens. Supplied in a French Connection Black microfibre Pouch. Total UV Protection. Filter Category – 3. Fiorelli Black Joanna Ladies Sunglasses FIO404. Model: FIO404. Supplied in black patent mock croc hard case. Colour: Black. LOVELY POLICE SUNGLASSES. ATTACHED CLEANING CLOTH IN CASE. Model SPR 62S. Condition The sunglasses are used and have minor wear on the lenses which is only slighly noticeable when worn. Lens Colour Silver. Colour Code 1BC-2B0. Style Round. Under 30 GBP 30 GBP - 40 GBP 40 GBP - 50 GBP 50 GBP - 75 GBP 75 GBP - 100 GBP Over 100 GBP. 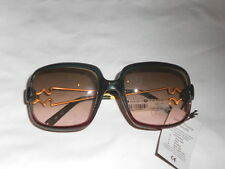 Chanel Sunglasses Women's Used with Case Brown Frames Great Condition. Condition is Used. Minor scratches on frame, overall brilliant condition. Case is a bit battered. Tried to show all defects in images. Dispatched with Royal Mail 2nd Class. TOM FORD Miranda Sunglasses Model: FT 0130 28F - Made in Italy. Model No: FT 0130 28F. Brown Gradient Cutaway lenses with inside anti-reflective coating etched with Tom Ford Signature. Lens: Brown Gradient. RAY-BAN Womens Mirror Designer Sunglasses Blue ERIKA VELVET RB 4171 607955 18657. Condition is Used. Dispatched with Royal Mail 1st Class. 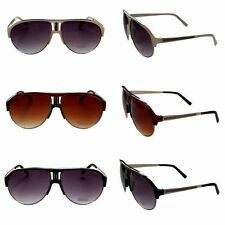 Ladies Genuine Chloe CE126S Sunglasses Gold UV Gradient Lenses Made in Italy. Condition is Used. Comes with Sunglasses case and wipe. Please see the pictures as guide to item. The sunglasses feature 59mm brown gradient lenses. RRP: £204.00. Total UV Protection. 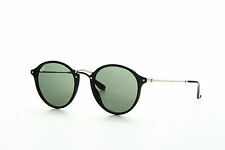 Ray-Ban Sunglasses Round Fleck 2447 901 Black & Silver Green have a round shape which is very much back in fashion with this contemporary finish to a classic design. Quality acetate rims and a matt finish to the metal temples and bridge give a unique modern look on the world. When it’s gone its Gone! No Collections No Collections No Collections Exceptions. Lovely New Kate Spade Gold Aviator ladies Sunglasses With Branded Turquoise Case. Brand new without tags. Aviator Style with Gold Metal Rims & Brown Lenses. Black arms with Kate Spade New York Logo in Gold to one side. Inner of the arms is Black & White Striped Print With Kate Spade Logo & CE Quality Mark to one side. Turquoise Patent Branded Hard Case With Kate Spade Logo Engraved in the top. Inner of the Case is in a White Brushed Fabric with ‘Wink Wink’ printed in Black. Sent Royal Mail 1st class. 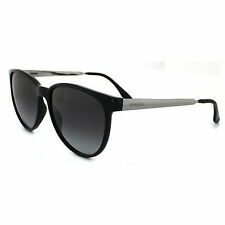 PRADA Black Sunglasses SPR 27N Genuine. Condition is Used. Dispatched with Royal Mail 1st Class. Ray-Ban Sunglasses 4250 60342Y Violet Copper Mirror take a classic modern cat eye shape to a new level with Ray-Ban's tech design adding futuristic materials into a fashion forward frame with lovely feminine curves and sensual allure. The nylon fiber frame has a core of super fine titanium at the bridge and temple and the screw-less hinge adds further durability. Excellent Condition. Worn once.don't suit. Used but in excellent condition. Gucci Women’s sunglasses with case. Dispatched with Royal Mail 1st Class. P'8621 D 145 Cat.3 SP. CHANEL Ladies SUNGLASSES Brown 100% Authentic with case camellia flowers design. Condition is Used. Please look carefully at the pics all defects you can clearly see. Scratches on the both lenses, part of enamel is gone on the flower design. But it still have plenty of life. Iconic model and very classic shape. Dark lenses, high protection. Dispatched with Royal Mail 1st Class. Polaroid Sunglasses 1012/S PR6 H8 Havana Green Polarized are Polaroid's version of the classic clubmaster style but at a fraction of the price and with of course Polarized lenses for a glare free view with perfect clarity and a resulting reduction in eye fatigue.